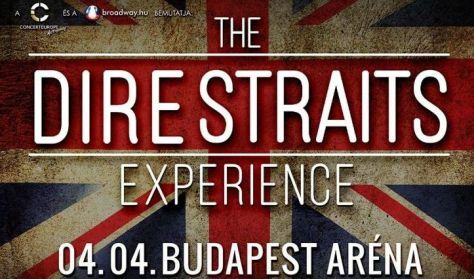 The DIRE STRAITS EXPERIENCE @ Budapest – 2019. Mark Knopfler‘s amazing genius for writing eternal melodies and The Dire Straits Experience music live on stage guaranties to give goosebumps to many in the audience ranks. The Experience Group kicked off to their European Tour in France and ends in November, 19. 2019 also in France. In between several concerts throughout Europe countries arriving to Budapest to the Papp László Budapest Sport Arena on April, 4. 2019. Bringing back to life those superb sounds of the music from one of the most creative and unique bands in the world of rock music. It has been more than 40 years since the “Sultans Of Swing” was the first to be broadcast around the world and surely for many at the concert will have the feeling again the music of Dire Straits. Over 25 years have passed since Dire Straits disbanded, leaving for their fans the finest compositions and live musical performances throughout different “channels”. No wonder to their reputation which has only grown with time. Record sales of more than one hundred and twenty million albums continue to grow as new music fans join the band’s massive show. Spend a fabulous night with pure pleasure to hear again the Dire Straits’ unique sound and enjoy the show with fabulous musicians!